For speaking opportunities, please contact Sammi Zhang, Regional Head of Event Production at sammiz@humanresourcesonline.net or +65 6423 0329. 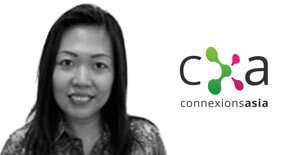 Part of CXA's pioneering team, Rachael is responsible for business development and building out CXA’s Flex Wellness Marketplace offering across Asia. She was previously the Singapore Director of Business Development at Mercer Marsh Benefits. A strong believer in win-win partnerships, she is focused on innovative benefits and wellness solutions for the modern workplace. Her work in driving healthcare cost containment, improved health outcomes and higher employee engagement helped CXA garner Silver for Best Compensation & Benefits Consultant at the HR Vendor of the Year awards. Rachael has a PhD and BEng in Materials Science & Engineering from Imperial College of Science, Technology and Medicine, University of London. 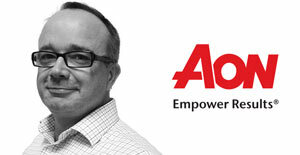 Elliott Webster is the head of flexible benefits for Asia at Aon Hewitt. He has 20 years of experience around implementing local flexible benefits and total reward statement consulting practices. 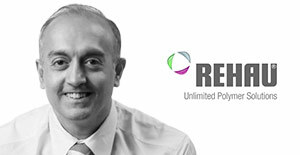 His industry experience includes total rewards, pensions, risk benefits, flexi and online benefits and he has extensive knowledge around crafting compensation and benefits strategies. As Chief Financial Officer, Clarence Chua is responsible for the accounting, controlling, HR, procurement and IT departments in 13 markets: Singapore, Indonesia, Vietnam, Philippines, Sri Lanka, Brunei, Bangladesh, Guam, New Caledonia, Tahiti, Cambodia, Laos and Myanmar. He also oversees corporate functions based in Singapore that support the Asia Pacific region, including information management services, BMW Group Treasury and Rolls Royce. 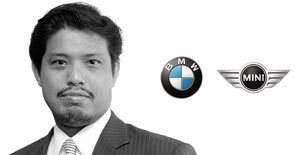 Mr Chua holds a CPA and has been working with BMW group since 2002. During this time, he has served in various functions in the finance division in BMW Malaysia, BMW Australia, BMW Indonesia, and now BMW Group Asia. His last held position was Financial Director at BMW Asia. Eddie Lee is the regional director for Bolloré Logistics Asia Pacific, overseeing 24 countries in the Asia Pacific region. He is responsible for the region’s human resources, ethics and compliance and sustainability and corporate social responsibility. Before joining Bolloré, he gained work exposure in the technology, manufacturing, hospitality and aviation industries. He has extensive experience in talent acquisition, total rewards, learning and development and HR analytics. He is passionate about community and volunteering work. Martin Hayes is the president of Bosch for Southeast Asia, as well as the managing director of Bosch for Singapore since 1 January 2011. 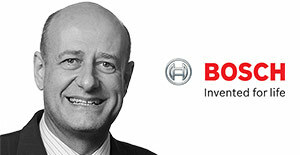 Based in Singapore, he is responsible for driving the Bosch business in the region. He was formerly the executive vice-president at Bosch Automotive Thailand in Rayong, Thailand, responsible for automotive original equipment (OE) sales to customers in Southeast Asia and Australia. He was instrumental in setting up the sales organisation across the region and for developing sales growth with OE manufacturers. Presently, he is vice-president of the EU-ASEAN Business Council, of which he is one of the founding members; a board member of the Singapore International Chamber of Commerce and chairman of the chamber’s ASEAN committee; as well as a board member of the Singapore-German Chamber of Industry and Commerce and chairman of its automotive committee roundtable. 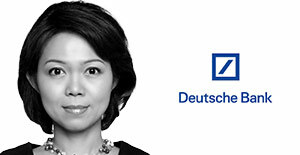 Eudora Choo works for Deutsche Bank as vice-president for benefits governance, covering 16 countries in Asia Pacific. She is responsible for regulatory compliance, financial management and the strategic and creative drive of a wide array of benefits programmes for 18,000 employees in the region. Before joining Deutsche Bank, she spent many years in the areas of benefits consulting and human resources with large MNCs serving a diverse clientele. She established impactful stakeholder outcomes and sustainable commercial value through implementing complex changes and forward-looking initiatives relating to health and wellness, flexible benefits, insurance arrangements and employee engagement strategies. She holds a bachelor of science (honours) in management. She is also a senior associate of the Australian and New Zealand Insurance Institute, a certified Six Sigma Brown Belt and a trained medical underwriter with an in-depth understanding of the healthcare environment in Asia. Anita Zuo has 18 years of in-house and consulting firm working experience. She started her career in HR as an HR generalist, then moved to the C&B specialisation function. She was lead reward consultant of the Hewitt healthcare industry in China, then moved to in-house roles as country/regional C&B head of various companies across the pharmaceutical, automotive and recently the consumer industry. Samarth Kasturia is a senior associate at the consulting practice of Jones Lang LaSalle, Singapore, and leads the workplace strategy programme regionally for Shell Eastern Petroleum. He specialises in workplace strategy and planning. He has an ambition to transform work and workplaces across Asia Pacific. Leveraging on a mix of architecture and management education, he has delivered workplace strategies for leading energy and financial sector corporations, enabling sustainable workplace and business change. In previous roles, he has been instrumental in developing business growth practices for niche real estate services start-ups in India, and has contributed to managing commercial Indian contemporary art firms. Liana Attard is a principal based in Mercer’s Singapore office and is the Asia consulting leader for Mercer Marsh Benefits. Her main focus is to oversee Mercer’s global benefits management and multinational pooling services and manage large complex client engagements across the region. She is also responsible for the provision of advice in relation to employee benefits, benchmarking of insurance benefits, and designing an appropriate insurance design for an employer group, with a primary focus on ongoing client services. She has more than 15 years in the insurance, broking and consulting industry with over nine years focused on international benefits, global benefits management and multinational pooling. 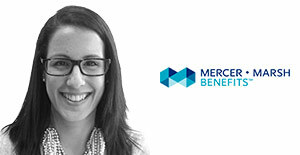 Before joining Mercer in 2006 as a member of the health and benefits team, she worked for various life insurance offices in areas ranging from business development to product management. Irene Leng has more than 20 years of progressive experience in a wide range of areas: human resource management, loss prevention and facilities management, procurement and office administration in global MNCs in various industries. Being a strategic HR business partner, she acquired a strong hands-on experience in HR operations, including M&A integration, talent management, compensation and benefits, change management, business units restructuring and right-sizing and country operations closure. She has had extensive experience leading organisational transformations which enables her to work well in fast-paced and challenging environments interacting with cross-cultural and functional leaderships globally. In January 2013, she joined National Kidney Foundation as director for human resources. She is responsible for a full spectrum of human resource functions. Together with her team, they clinched four human resource awards last year for achieving a happy, healthy and engaged workforce which translates to serving NKF’s patients better and improving their quality of life. Her work in both profit and non-profit business sectors affords her the capacity to bring a broad perspective and in-depth knowledge to her stakeholders. Tarun Gulrajani’s career is as diverse as his qualities and roles which have spanned across continents and a time span of 25 years. 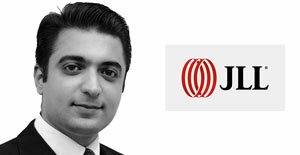 He is currently based in Singapore and is the head of HR for Rehau. He is responsible for the overall HR strategy and execution in alignment with the functional business requirements, focusing on organisational development and HR transformation in the Asia Pacific region. Before joining Rehau, he was working with Haworth under various positions of group HR director and then group sales director for channel markets reporting directly to the CEO of Haworth Asia. His cultural diversity comes from working for various Fortune 500 companies such as 3M, Ogilvy & Mather and Seagate, which has been the reason for his foresightedness and ability to see the larger picture. Before his career in human resources, he was the head of information technology for Lucasfilm. Koh Chee Keat is an Engineer turned Lecturer turned HR Practitioner. Having spent a major part of his career in Republic Polytechnic (RP), Chee Keat is passionate about Strategic HR playing a key role in aligning business needs, organisation goals and individual aspirations. Notable projects spearheaded include RP’s Strategic Workforce Planning, Employer Re-Branding and Social Media Engagement. The nurturing streak which stems from years in lecturing has led to Chee Keat’s conviction in staff holistic development and well-being through strategies in areas like talent management, learning roadmaps and benefits design. 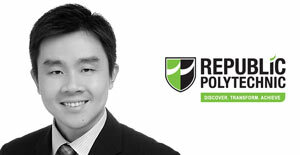 Chee Keat has a Bachelor (with Honors) and a Masters in Engineering as well as an Executive MBA, all from the National University of Singapore (NUS) and has received scholarships from Keppel Corporation (Keppel T&T) and RP. Chee Keat is proud to be part of the RP’s HR team that has garnered many recent high-profile wins at the Work-Life Excellence Awards and Singapore HR Awards. Chetna Singh is a respected Total Rewards professional with 18 years of experience in leading global organizations. 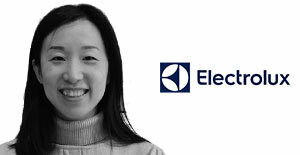 She is head of the Total Rewards function at SAP Asia Pacific Japan based in Singapore. She has been a champion to envision leading edge initiatives rollouts in this region. 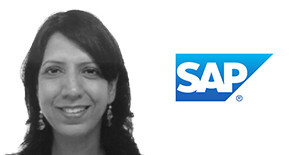 Prior to joining SAP, she worked in Cisco Systems, JP Morgan and Motorola located in various countries such as USA, India and Singapore. Her expertise lies in end to end total rewards arena with specialization in Sales compensation , flex ben design & wellness. Her diverse & rich experience has allowed her to share valuable perspectives and insights of different regions. As a leader, Chetna has always strived to deliver seamless solutions to business’ problems in this very challenging era of digital disruption and multi-generational workforce changing needs. She is passionate about making a difference and gets intrigued by new ideas . She loves to try new cuisines and tries to keep in pace with her 12 year old son. Joon Tan has 23 years of experience in HR with various companies across high-tech, services and more recently the manufacturing industry. She started her career in HR as an industrial relations officer for the foreign carriers that fly into Singapore before moving on to become an HR manager for one of the airlines. She spent 10 years in high-tech companies as the regional and global HR business leader for Intel and Dell. During her stint at Dell, she assumed various roles, including a stint as ethics and compliance director for APAC. 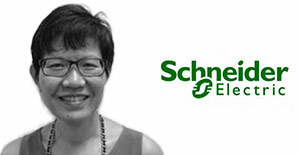 Before joining Schneider Electric, she was the global high-tech industry lead for the compensation and benefits practice for Mercer. 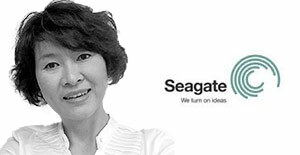 With 80% of Seagate’s headcount in Asia Pacific, Molly Ang holds the position of executive director for compensation and benefits within the region. Based in Singapore, she is in charge of heading up all the compensation and benefits, reviews, and developing and implementing C&B strategy/programmes in support of the company’s strategy. It involves integrating and leveraging C&B policies and programmes for the entire Asia Pacific. She has more than 20 years of broad human resource experience both as a consultant and practitioner in staffing, performance management, union, mobility and compensation and benefits. She has worked in various industries such as consultancy, retail, engineering, heavy equipment and high-tech in software and manufacturing in Singapore and Indonesia. She holds an MBA from the University of Southern Illinois, Carbondale, in management and finance and a bachelor of science in management and a minor in economics also from the University of Southern Illinois, Carbondale. Charles is a Manager responsible for Compensation, Benefits & Global Mobility at Sembcorp Marine based in Singapore. He leads a team responsible for the design, implementation and delivery of compensation, benefits and global mobility strategy, policies and programmes. He is also responsible for the design and maintenance of systems and processes for job creation, job evaluation and grading, and organisational structure design. 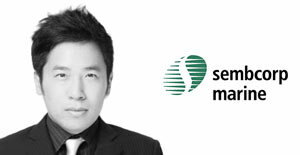 Before joining Sembcorp Marine, Charles worked as an Executive Remuneration Consultant at Mercer. Charles has experience encompassing compensation and benefits, including executive and broad-based compensation benchmarking, salary structure and incentive plan design, and employee benefit benchmarking and costing. He has experience in financial services, public sector, shipping, pharmaceutical, technology, food & beverage and consumer industries across ASEAN. 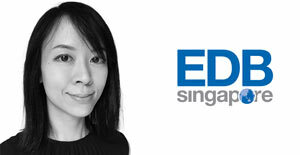 Ng Ying Yuan is the Director of Human Resources and Organisation Development at the Singapore Economic Development Board (EDB). She oversees EDB’s leadership development, talent management, staff planning, compensation and benefits, employer branding and organisation development efforts. She has led the team in designing EDB’s leadership competency framework, designing and implementing EDB’s talent development approach, developing and executing EDB’s employer brand, designing and managing EDB’s new mission and vision process, conceptualising and managing EDB’s current organisation transformation journey and also working in close partnership with EDB’s top leadership team to ensure robust and deliberate succession planning for the organisation. Prior to this, Ying Yuan headed up the Pharmaceuticals and Biotechnology Group for 8 years, where she led the team to secure more than $800 million worth of fixed asset investments to Singapore, creating more than 700 skilled jobs. 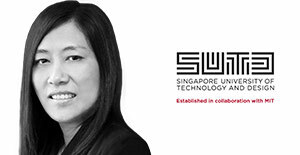 Dr Jaclyn Lee manages human resources and organisation development in her current role as senior director of HR for the Singapore University of Technology and Design. In her role, she is responsible for managing compensation structures, performance management systems, HR technology and analytics, international resourcing, human capital development, faculty HR management, as well as talent frameworks. She also has more than 25 years of experience in strategic HR in various industries. This has included roles such as senior vice-president of group human resources in a Temasek-linked company with 12,000 employees and regional HR director in a global high-tech MNC across the Asia Pacific region. She also specializes in the use of digital technology to drive culture change in organisations. She has a doctor of philosophy (Phd) in business information systems from University of Twente in the Netherlands, a master’s in business from SMU, a master’s in HRM from Rutgers University and a BSC in psychology from Brandon University in Canada. 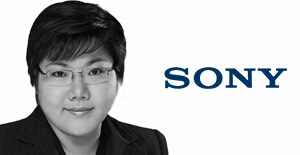 Verena Chua is heading the compensation and benefits function for Sony Electronics in Singapore and she is concurrently the regional rewards lead for Asia. In her role, her focus is on harmonising rewards policies in the region with global initiatives such as the implementation of the Workday system and implementation of the global grades structure. Most recently she revamped the medical benefits and flexi-benefits scheme in Singapore. With more than 20 years of human resources experience that spans across consultancy, private and government sectors, she has developed a keen interest in the areas of HRIS, benefits design and sales compensation. 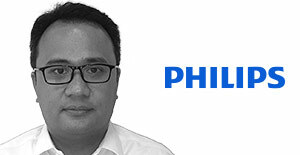 Carlo Felicia is the head of rewards at the CoE for APAC and Japan at Royal Philips based in Singapore. In this role, he has responsibility for the total management of rewards in the region, including design, governance and communication, and is a member of the global rewards leadership team. Previously, he was the total rewards director for Greater Asia for Becton Dickinson. Before this, he built an extensive international career with Towers Watson in the Philippines and ORC Worldwide in New York. He earned a BA in international studies from Vassar College and an MBA in finance from Fordham University, both in New York. Mayur Chaturvedi has more than 17 years of diverse industry experience in FMCG and the medical devices industries. He has worked in various progressive roles covering both business partnering and centre of excellence in HR having started his professional journey with Tata Tea followed by stints in SABMiller and PepsiCo. 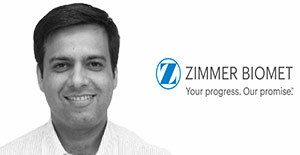 He is currently working with Zimmer as regional associate director, compensation and benefits and HR lead for ASEAN and India. 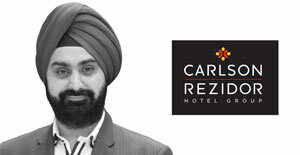 He has an extensive history in designing, implementing and communicating compensation policies, sales incentives, rewards and health and wellness programmes.